While great strides in disease and poverty reduction are being seen in India, the country still accounts for 21% of the global burden of disease and currently has the largest burden of maternal, newborn, and child deaths in the world (as of 2016). Furthermore, lifestyle changes have created an increased burden of noncommunicable diseases. The Center for Global Health Research is working to address these issues. 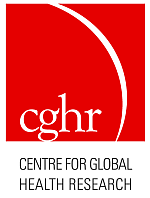 CGHR is headed by Dr. Prabhat Jha and is based at the University of Toronto and in New Delhi. CGHR worked with DCP’s Country Network to deliver India-specific analysis and findings for Disease Control Priorities, 3rd Edition (DCP3) at the state and district levels. It provided insight into major conclusions on the equity impacts of health and financial protection. CGHR also worked closely with the Public Health Foundation of India (PHFI), a DCP3 collaborator, to produce extended cost-effectiveness analysis for DCP3. There are several streams of analytical work that have produced analysis of India’s National Cancer Programs. A working group was formed in conjunction with key stakeholders in the Indian Ministry of Health and Family Welfare to add new expertise in disease transmission modeling and economic evaluation as it relates to vaccine-preventable diseases. The core group led projects in modeling measles transmission in Bihar State and documenting the recent history of measles second-dose policies in south-east Asia.